"Benji Golden is one tough and congenitally adorable private eye." 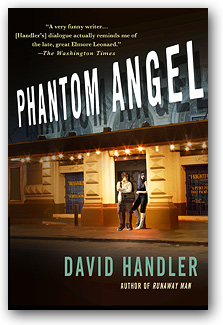 Meet Benji Golden, the baby-faced New York City private eye who is exactly one-quarter inch shy of five-feet six, weighs a buck thirty-eight and is the best there is when it comes to finding runaway teens. "With pitch-perfect dialogue that's often hilarious (especially the running joke about Alvin and the Chipmunks) leading up to Benji's Sherlock moment of a reveal, this entry is a wacky delight." 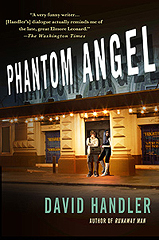 When it comes to tracking down teen runaways, there is no private investigator in New York City better than streetwise Benji Golden. But his newest client is Morrie Frankel, the last of the great Broadway showmen. Morrie's current extravaganza, a lavish $65 million musical adaptation of Emily Bronte's Wuthering Heights, is the biggest unfolding disaster the Great White Way has ever seen. Rumor has it, if he doesn't find a deep-pocketed "angel," or investor, soon, he might go down and take the production with him. Morrie thought he had found such an investor in hedge fund billionaire R.J. Farnell, who promised to keep the teetering production afloat. But Farnell and his $12 million have vanished. Benji tracks Farnell to his girlfriend, Jonquil Beausoleil, who turns the investigation on its head. When Morrie is found gunned down on 42nd Street, Benji finds himself smack in the middle of a high-profile murder investigation, and he'll have to pierce through a lot of Broadway gossip before he can find the killer. 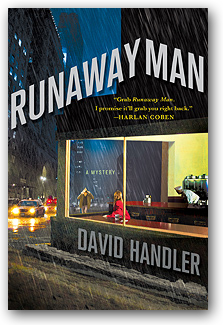 "David Handler is the master of the sly, comedic mystery. 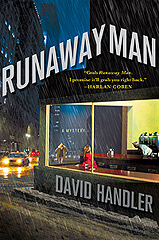 Runaway Man is his opus. The streets of Manhattan dazzle, the perfect crime isn't and Benji Golden, a would-be actor with a nose for finding missing kids takes on the challenge of his career. This story will grip you and break your heart Handler-style." Benji Golden works in his family's struggling mom and pop business over a twenty-four-hour diner on Broadway and W. 103rd Street. Golden Legal Services, a private detective agency, was started by Benji's hero cop father. The business is now run by Benji's mother, Abby, who used to be the only Jewish pole dancer in New York City, and is staffed by Lovely Rita, an eye-popping computer wizard who's a former lap dancer. Baby-faced Benji, who is exactly one-quarter inch shy of five feet six, weighs a buck thirty-seven and answers to the nickname of "Bunny", specializes in tracking down teen runaways. Which explains why Peter Seymour of Bates, Winslow, and Seymour, Park Avenue's classiest law firm, hires Benji to find Bruce Weiner, a senior at prestigious Canterbury College. A client of Seymour's has bestowed a considerable inheritance on Bruce, but Bruce has gone missing. Seymour wants Benji to find him, and will pay the agency huge if he can. When someone gets killed, Benji must embark on a dangerous investigation that will take him to the highly secretive core of the most powerful city on earth.